Retired General James Mattis will not be launching an independent bid for the White House. 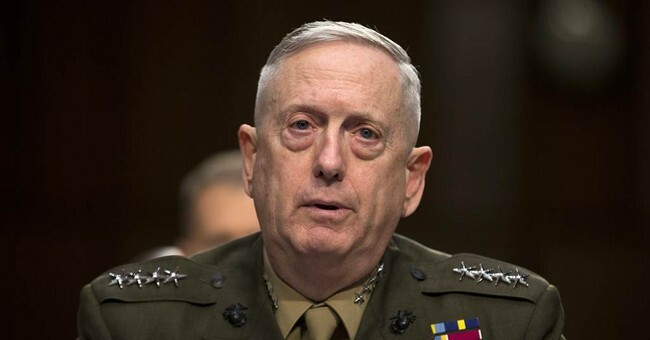 Mattis had been urged by a variety of conservative figures to consider running for president as an alternative candidate. Two allies of Mr. Mattis sent emails to associates on Friday notifying them that the retired general had closed the door on a campaign. William Kristol, editor of the conservative Weekly Standard magazine, said Mr. Mattis had decided “after much consideration” not to proceed. While it was incredibly unlikely that a third-party campaign for president could be successful, Mattis' potential candidacy was intriguing. Alas, it's just not meant to be.